Executive Director Rob Schware talks with VetsYoga author Daniel Hickman for The Huffington Post Blog about Hickman’s work of teaching yoga to combat veterans, including amputees, at the Walter Reed National Military Medical Center. 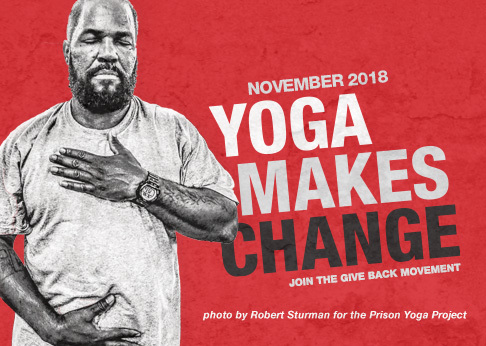 Read Hickman’s full interview, and learn more about the VetsYoga DVD series produced with help from Give Back Yoga Foundation. On their tours of duty, Sue Lynch and Hugo Patrocinio survived everything from SCUD missile attacks to flying shrapnel – but when they came home, the war came with them. Post-traumatic stress disorder left both veterans dealing with symptoms ranging from depression to migraines, nightmares to drinking problems and anger. Then, they discovered the healing power of yoga.